Soft Kitty~. :D <3. 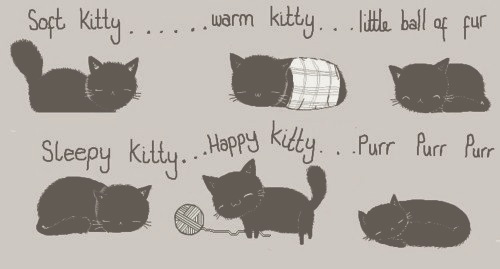 Wallpaper and background images in the The Big Bang Theory club tagged: the big bang theory soft kitty. This The Big Bang Theory photo might contain sign, poster, text, and chalkboard.